How irresistible is your marketing copy? Does it captivate your potential readers? Does it entice them to want more? Listen as marketing copy expert, Jane Maulucci shares her powerful techniques to have marketing copy make you irresistible. Jane Maulucci is a writer who delivers words that make cents — that’s in “dollars and cents” — for authors and small-business owners. She creates copy that generates emotion to make people buy, learn, and react. 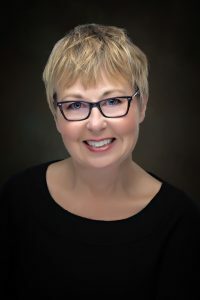 Her company, The Reactive Voice, works with authors and small-business owners who need to hire a writer to help with their marketing and other collateral material for their books. Q: Jane, what do you find is the biggest hurdle for authors when it actually comes to writing marketing copy? The first thing we have to remember is that the book is the product of the author; the author is really what you’re marketing. You’re marketing this person’s talent, you’re marketing this person’s wisdom, you’re marketing this person’s creativity, and so the book just happens to be that little product, that calling card. The biggest hurdle is to get the author to understand that they are marketing themselves, and not the book.